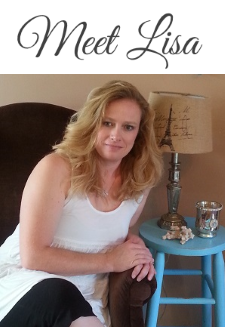 Do you love the look of French Country Style? 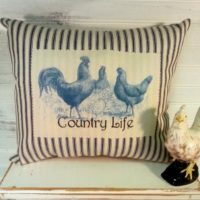 Give your home an elegant, yet warm and inviting feeling by decorating with French Country Cottage decor and home furnishings . French country style incorporates a balance of elegance with comfort. 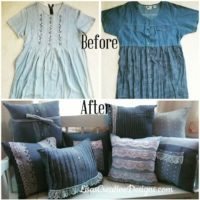 Fill your French country inspired homes with ornate furnishings mixed with toile and check fabrics, vintage relics. Even add a rooster or two! 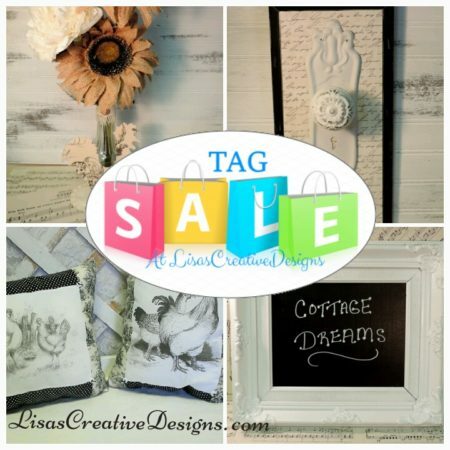 Shop Lisa’s selection of one of a kind, handmade French country decor, vintage finds and upcycled treasures. 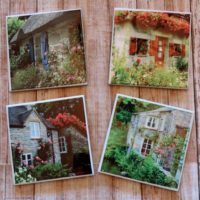 They will give your French cottage inspired home European flair. 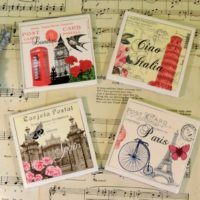 You will be delighted to find French inspired pillows, candle holders, lamps, table decor and much more. 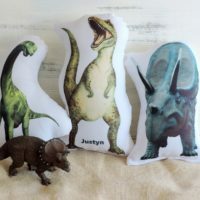 All the items you see listed here are hand selected or handmade by me with love and care. I take pride in my craft and know you will enjoy anything you purchase. Thank you so much for stopping by! Products 1 - 32 of 45. 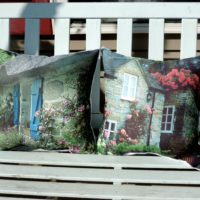 This pair of beautiful handmade English Cottage photo pillows will add a touch of country charm to any room in your home. 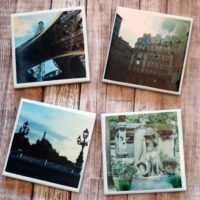 These beautiful handmade Paris France photo coasters will add a touch of Parisian charm to your home. 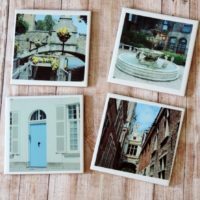 A perfect gift for those who love to travel to France! 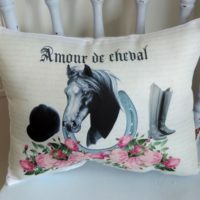 This sweet French inspired horse pillow would make a great gift for a favorite Equestrian in your life. 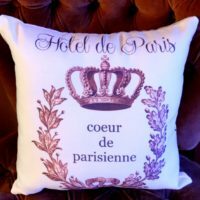 If you love French decor and horses you will love this pillow! 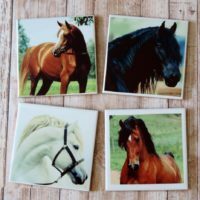 These custom made horse photo coasters feature beautiful photographs of horses. 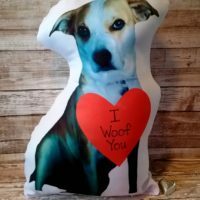 They would make a wonderful gift for someone who loves horses. 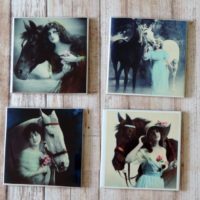 These beautiful vintage Victorian horse coasters feature photographs of ladies and horses. 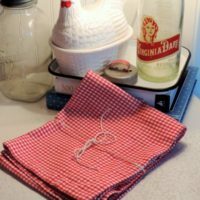 They would make a wonderful gift for someone who loves horses and Victorian, Shabby Chic style. 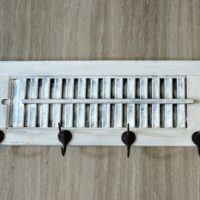 This repurposed white shutter coat rack is perfect for hanging towels in a beachy bathroom, coats and hats in a shabby chic mudroom or aprons in a kitchen! 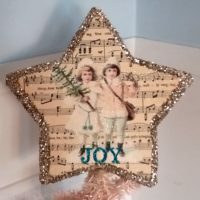 This handmade vintage Victorian inspired Christmas tree topper will add a touch of elegance to your holiday tree. 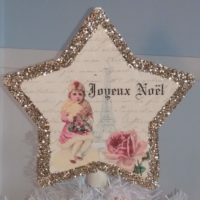 No French Country inspired Christmas tree would be complete without an elegant French themed tree topper. 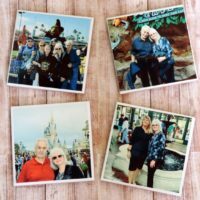 Dreaming of going to France? 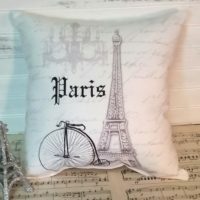 This beautiful French Country Dreaming of Paris Eiffel Tower Pillow is handmade in gray and white color scheme and would make a wonderful gift for someone who loves Paris. 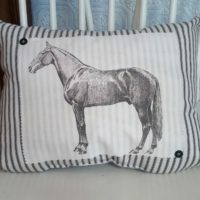 This vintage inspired black ticking horse pillow will add classic charm to your home. It also makes a great gift for horse lovers. 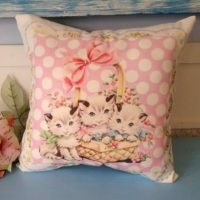 This handmade vintage kitsch kitten pillow was created from a vintage greeting card image and would look adorable in a retro style baby's nursery. 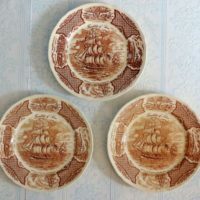 These Fairwinds Friendship of Salem Brown Transferware Dinner Plates will add a touch of elegance to any room in your home. Transferware dinnerware is always a perfect accent in a French Country home. 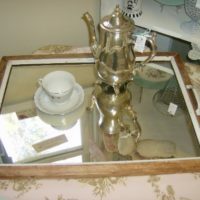 This large vintage upcycled mirror serving tray will make a statement in any cottage style or beach rustic room. 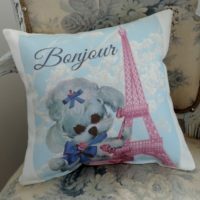 This handmade French script Eiffel tower Paris pillow will add a touch of elegant French charm to your home. 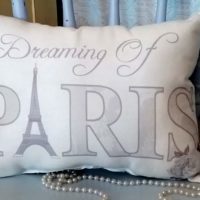 This beautiful handmade French pink Eiffel Tower Paris pillow will add a touch of Parisian romance to any room in your home. 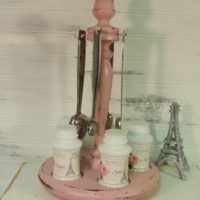 This upcycled pink Paris inspired spice caddy would a touch of romance to a counter in any shabby chic or French inspired kitchen. 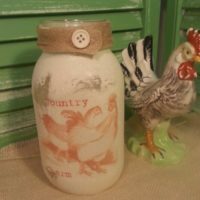 This Rooster inspired glittered mason jar candle holder would add charm to any country style home or make a wonderful gift for someone special. 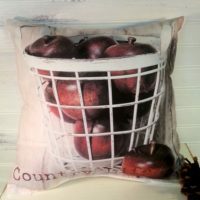 Add a touch of cozy charm to a chair or bed in your home with this handmade Country life apple basket pillow. 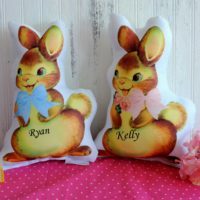 A perfect country gift! 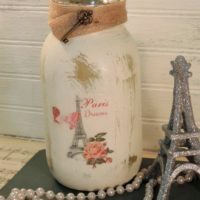 This glittered painted mason jar candle holder is perfect for any French inspired home. 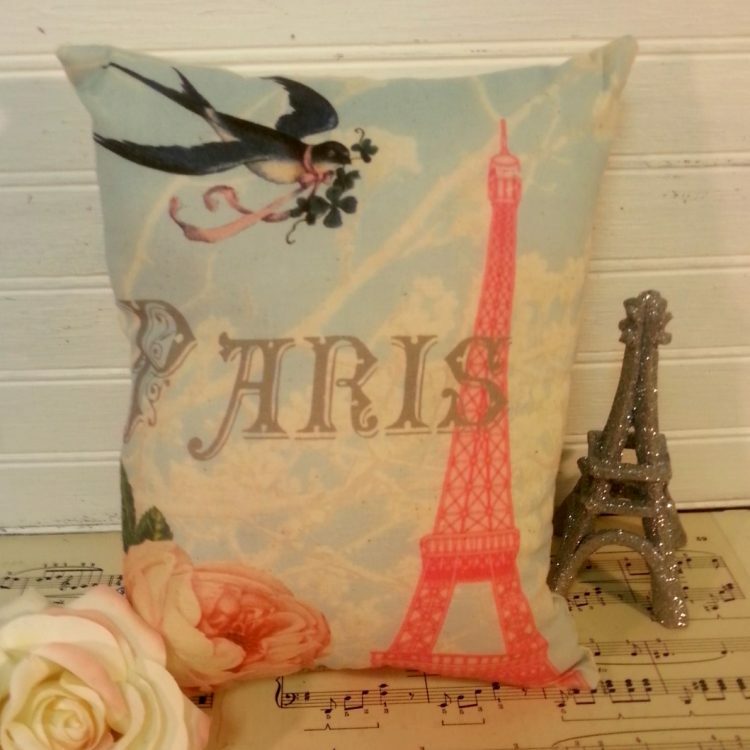 This handmade Hotel de Paris inspired pillow will give a touch of French charm to your home. 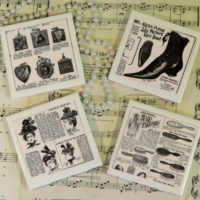 These custom made vintage style Sears and Roebuck catalog coasters feature images pulled from vintage Sears and Roebuck catalog pages. 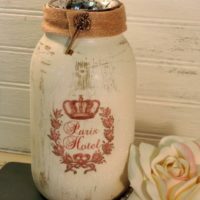 They would make a wonderful housewarming gift for someone who loves vintage and steampunk style. 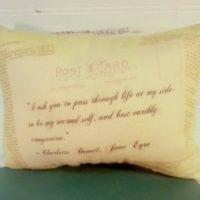 This vintage inspired Jane Eyre pillow would make a great gift for someone who loves this classic love story. 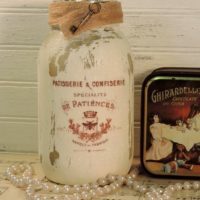 This glittered Paris Hotel Jar candle holder is perfect for any French inspired home. 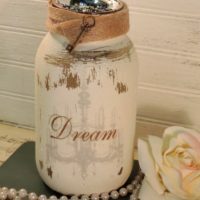 Add the warmth of candlelight to your home with this painted shabby vintage Dream mason jar candle holder. 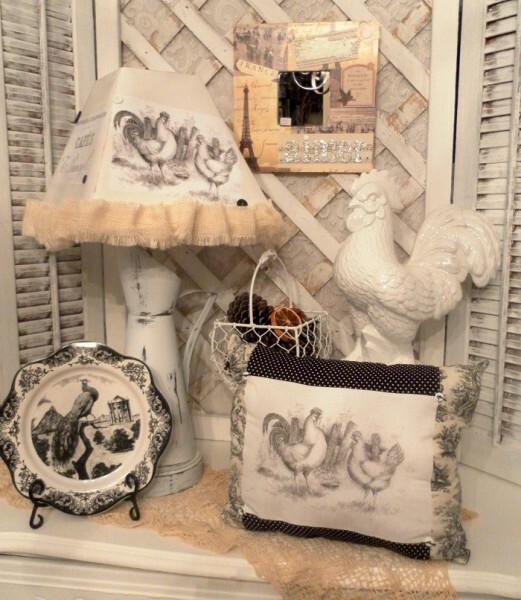 This vintage inspired rooster pillow on ticking fabric will add charm to your French country home.